First, the basics: Accomplish your daily tasks with the power of a quad-core processor and easy-to-use Android 5.1 Lollipop OS. 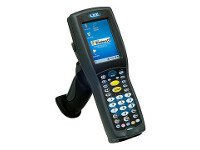 But then add a high-quality, high-speed 1D/2D scanner with three dedicated scan buttons. 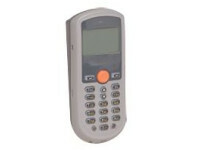 The integrated camera offers the clarity and versatility of 8 megapixels, with autofocus and flash. 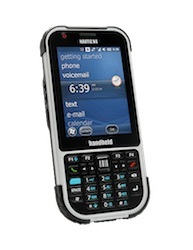 And, to top it off, the Nautiz X2 has the kind of phone functionality you would expect from a consumer smartphone. Google GMS sets the Nautiz X2 apart from other enterprise handhelds, allowing you to download Play Store apps and use Google Maps. The Nautiz X2 is a rugged superstar with efficiency at its core. The real trick is to combine all this functionality – plus rugged durability – into a device that just plain feels good in your hand. No other handheld lets you do your work with the combination of small size, light weight and sleek design of the Nautiz X2. You’ve got to feel it to believe it. 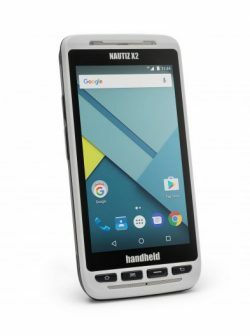 The Nautiz X2 takes advantage of Handheld’s decades of experience building rugged mobile computers tough enough to thrive in harsh outdoors environments… and in your warehouse. It’s IP65-rated and meets stringent MIL-STD-810G test standards – built to survive repeated drops and punishing temperatures, and to work equally well in dusty environments or in heavy rain. Rely on it. 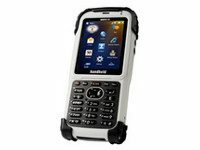 And rugged mobility also includes an incredibly crisp, sunlight-readable 4.7″ display and a capacitive screen with the toughness of Gorilla Glass and the responsiveness of multi-touch sensitivity. Probably the most amazing thing about the Nautiz X2 is that it can perform so many tasks, with such ergonomic ease, at such an incredible value. Handheld has been delivering the best combination of performance, reliability and value for years – now the Nautiz X2 takes that tradition to new heights.